Colored pencils are a fantastic medium - they are easy to use, the cleanup time is minimal and you get exposure to the wonderful world of color. But with so many great brands of colored pencils available, it can be confusing to determine which colored pencils you should go with. Prismacolor Premier Colored Pencils are widely considered to be the leading colored pencils in terms of quality for the cost. The quality of these pencils tends to match or come close to the more expensive colored pencils which are tailored to seasoned artists. These are my number one all-round pick for the best colored pencils for artists. You cannot really go wrong here. These are decent colored pencils of comparable quality to the Prismacolor pencils. However, these are more expensive so Prismacolor has the clear edge. In my opinion, the only reason you would choose these over the Prismacolor pencils is if you want the ergosoft grip or just for personal preference. These are brilliant colored pencils which are of a very high quality. However, they are at the high end of the price spectrum, so I would recommend these for more developed artists. Beginners, children and hobbyists may want to stick to the cheaper alternatives. These are very high quality, oil based colored pencils which are tailored to professional artists. These pencils would make for the perfect gift for any artist friends. The price range will probably not suit beginners or more casual artists. These are a premium wax-based colored pencils. The only real downside is the price. The Prismacolor Premier Colored Pencils are in my opinion the best all-round colored pencils based on quality and price. These colored pencils are geared towards more seasoned artists and are of a very high quality. They are more expensive but you generally get what you pay for. For children, beginners and hobbyists, I recommend the Prismacolor Premier Colored Pencils. They are affordable, easy to use and still have great quality. What Makes A Great Colored Pencil? Lightfastness: Refers to how well a color is preserved when exposed to light. The last thing you want when you create a beautiful artwork is for it to fade or discolor over time. The least stable colors are hot pinks, purples, blues, reds and oranges, while browns, grays and other neutrals generally remain unchanged. Pencils with a high lightfast rating will have more resistance to fading and discoloring over time. The American Standard Test Measure rates the lightfastness of pigments from one to five. The lower the number, the more lightfast a color is. However, as different colors have different lightfast ratings, many colored pencil sets do not display a lightfast rating. 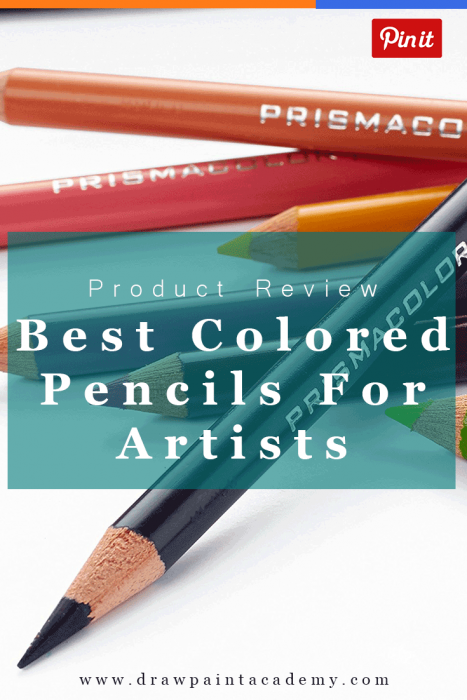 In general, the more expensive colored pencils which are tailored to more serious artists will have a high lightfast rating (but this is not a strict rule and you will need to do your research on each brand). Overall Quality: How well the pencils are made and the quality control standards of the brand. Blending: How well the colored pencils are able to be blended on the paper. 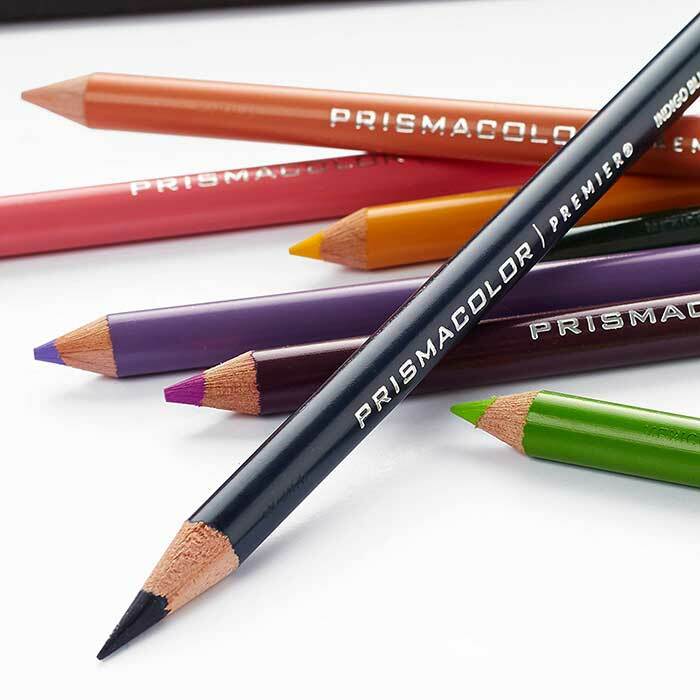 Quality Of The Pigment: The intensity and overall quality of the pigments used in the pencils. I love Caran D’ache! Soft, Great vibrancy and blendability. Does not leave grooves in watercolor paper. I have Prismacolor too. Harder lead. I don’t use it like my Caran’s.